Malone, NY, Adirondacks, USA – Titus Mountain Family Ski Center debuts as the #2 best overall resort in North America in Liftopia’s 2018/19 Best in Snow awards announced today. It also earned the #1 resort for beginners in North America, the #2 most family-friendly resort and #3 best value resort in North America. These accolades are preceded by Titus’s earning the top family-friendly ski area in North America in last season’s Best in Snow awards. Overall, Titus Mountain made the top three in 11 national and regional (Northeast) categories. Voters consistently applaud its “great grooming” and note there are “always chairs available,” with a “perfect slope for beginners” and an “over-the-top family friendly” atmosphere. The Best in Snow awards by Liftopia, the largest online market for lift tickets and mountain activities, is based on the feedback from thousands of skiers and snowboarders. It takes into account more than just the number of votes, but also the number of votes in relation to the size of the resort and visitors. This levels the playing field between large and small resorts and uncovers the true top ski areas across North America, based on what matters most to consumers. The 2,025-foot summit mountain is home to 50 trails and glades over three inter-connected mountains accessed by 10 lifts, as well as a two lane tubing hill. Located in Malone, NY, it is just an hour south of Montreal, two hours from Ottawa, three hours from Albany, and about 5 1/2 hours from the New York City metro area. As the name implies, Titus is big on being beginner and family friendly. 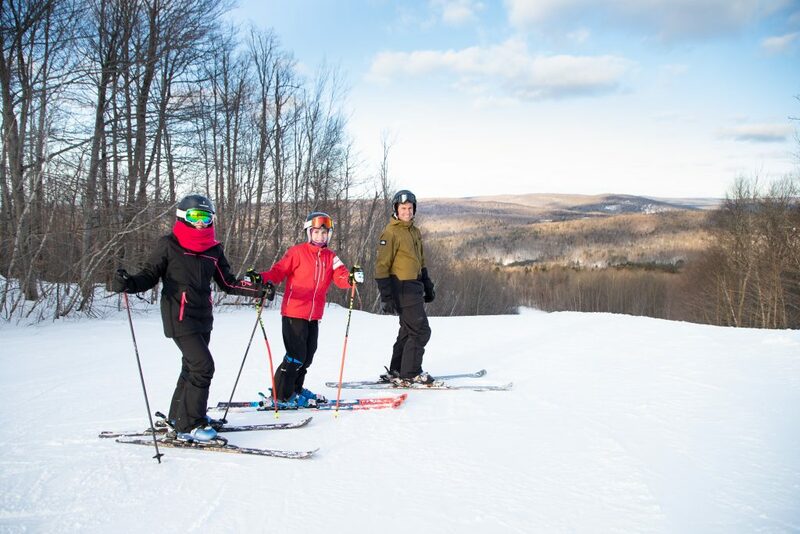 “We make skiing with kids easier by offering plenty of easily-accessible beginner and intermediate terrain, an advantageous resort layout with short distances from the parking lot to the slopes, and ski-in and ski-out lodging,” said Monette. Through its unique “4-1-1” program, thousands of area students have learned to ski for free at Titus Mountain. 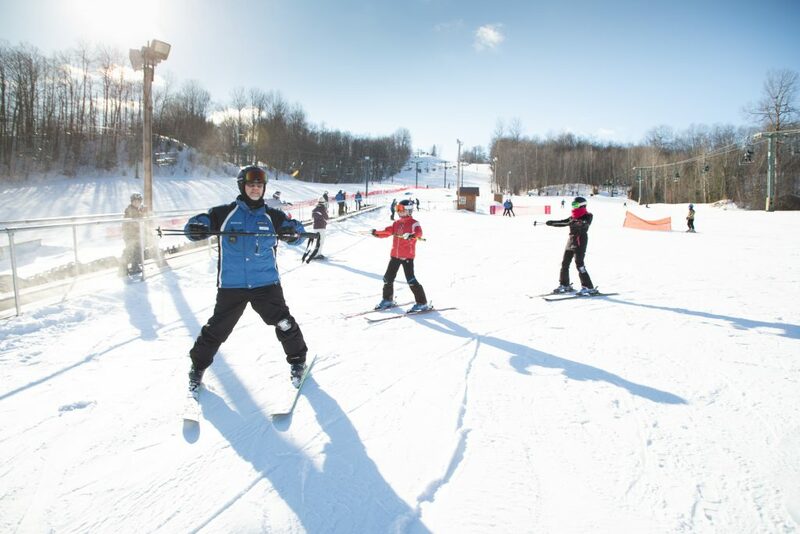 Participating fourth graders in Titus’s “Intro to Ski” school program receive a free season pass and access to rentals for the rest of the season. 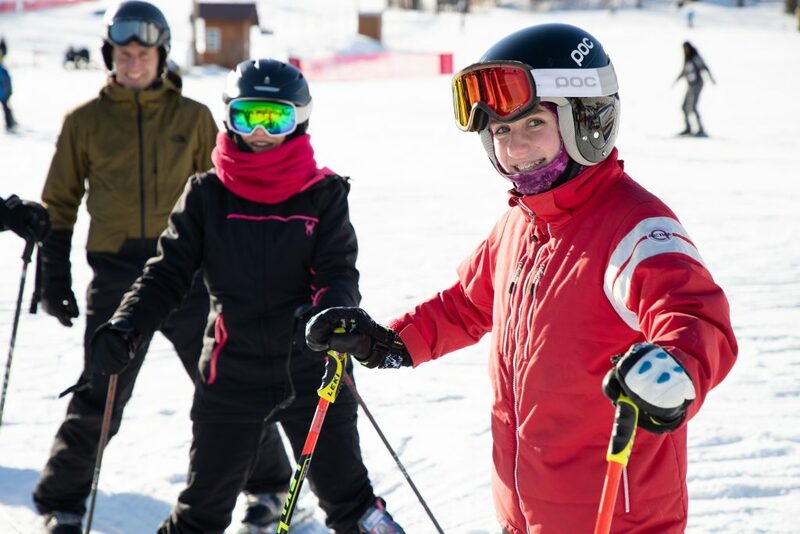 The students also receive a voucher for one lift ticket and rental for a parent or guardian to use so they can show them what they learned. And at Titus, newbies don’t have to worry about getting on the wrong lift because all of them access easy trails. There are also three terrain parks, one of which is considered forever wild and never gets groomed. The “Best Kept Secret” program allows their ski school to create programs centered around skiers’ needs, rather than making them fit their needs into a pre-made program. Titus offers a multi-lane tubing park with a ride back to the top via a chairlift. Both the tubing area and ski trails are open days and evenings. Titus also has some built-in advantages, such as easy commutes from major cities with little or no traffic and short lift lines. Methodology: Liftopia has the largest ski activity marketing and distribution platform with a comprehensive and unbiased overview of the ski industry. To compile the 2019 Best In Snow Awards, Powered by Liftopia, some 8,000 consumers were surveyed to measure their enthusiasm on specific aspects of their favorite resorts such as challenging terrain, crowds, family friendliness, snow consistency and overall quality. Respondents took into consideration criteria such as snow quality and conditions, grooming, accessibility, terrain variety and difficulty, vertical drop, learn to ski and snowboard programs, staff and instructors, resort size, crowds and lift lines, accessibility of lifts and beginner terrain, off-slope activities, the surrounding community, and cost of lift tickets, rentals and programs, among others. The responses were weighted with a proprietary algorithm based on Liftopia’s exclusive dataset that includes skier and snowboarder visits annually, acreage, uphill capacity and average true cost of skiing, to surface the best ski areas overall and across seven categories and five regions. Given all factors and categories, final results were calculated based on what matters most to skiers and snowboarders.